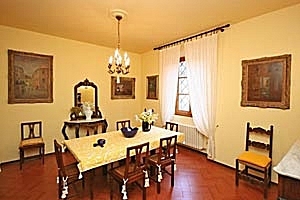 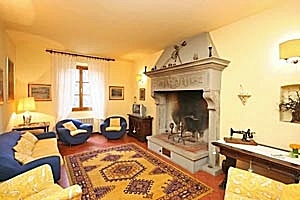 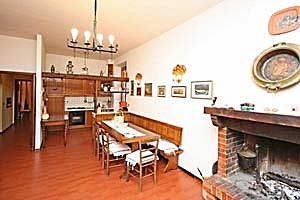 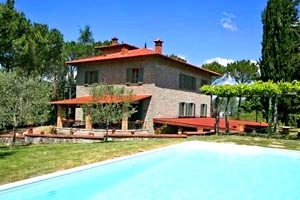 The beautiful stone villa is located near Subbiano, in Casentino, one of the four valleys that compose the province of Arezzo. 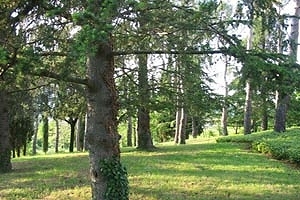 The region of Casentino is a real oasis of history and spirituality. 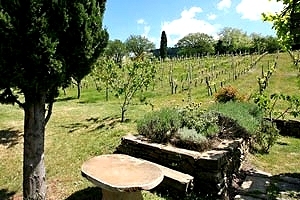 Its territory is dotted with charming castles and medieval villages, ancient churches and sanctuaries. 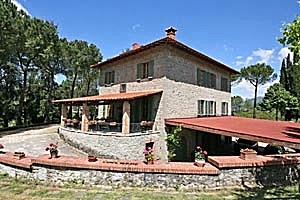 Particularly interesting to visit are the castles of Poppi and Romena, the parish churches of Santa Maria Assunta in Stia and San Martino in Vado, the hermitage of Camaldoli and the sanctuary of La Verna, where Saint Francis of Assisi received his stigmata. 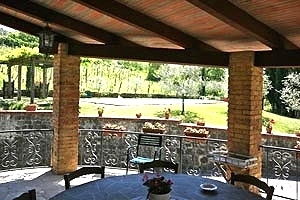 A holiday in Casentino is also an excellent occasion for visiting the National Park of Casentino Forests and the source of the Arno River, on Mount Falterona. 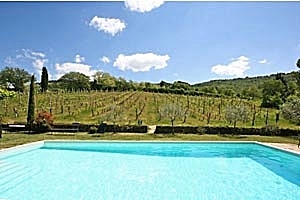 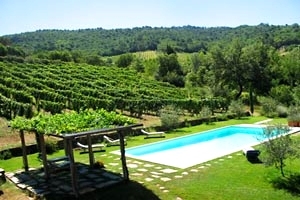 Surrounded by vineyards and cultivated fields, the villa enjoys wonderful views of the surrounding forests. 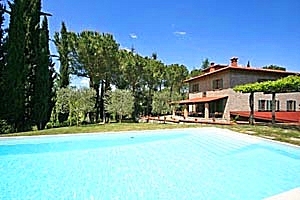 A wide garden with the private swimming pool (6x12 m; depth: 1.40-2.40 m) stretches around the house. 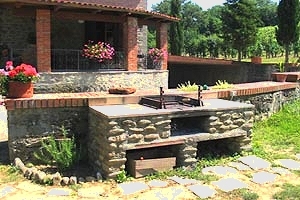 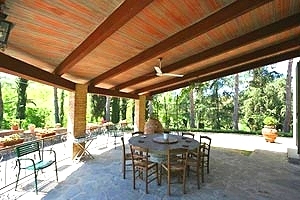 A pergola furnished for having meals al fresco is equipped with barbecue and wood-burning oven. 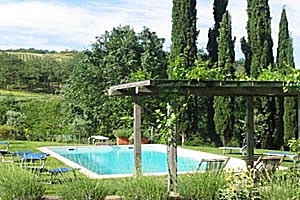 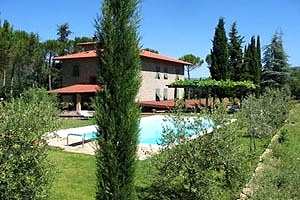 Its proximity to various nature reserves make the villa an excellent dwelling for holiday in close contact with nature in eastern Tuscany. 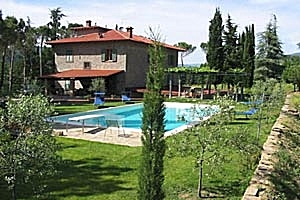 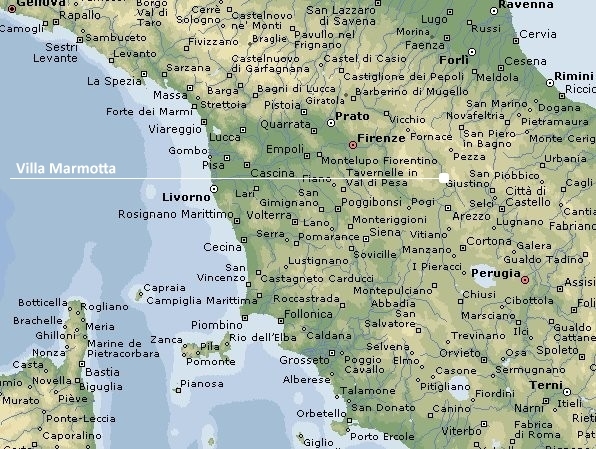 The most important towns of Casentino and Valtiberina - such as Anghiari, Poppi, Sansepolcro and Caprese Michelangelo - are within easy driving distance, whereas Florence, Lucca, Siena, Pisa and many other important Tuscan cities of art are reached by train from Arezzo railway station. 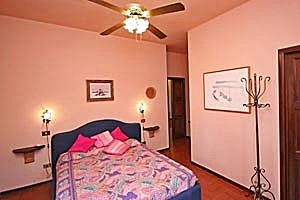 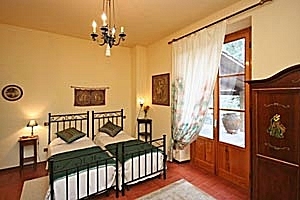 The two-storey building can accommodate 10 guests in 2 twin bedrooms and 3 double bedrooms, and has 5 bathrooms. 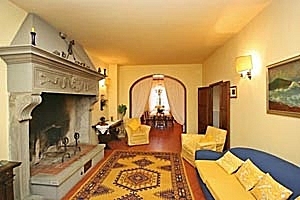 The first floor composes of entrance, kitchen with fireplace, wide living room, dining room, a twin bedroom and a bathroom with shower. 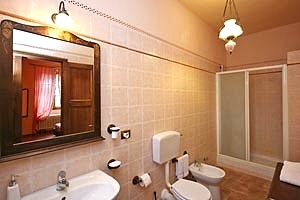 On the first floor are a twin bedroom with private bathroom with shower and three double bedrooms with private bathroom with shower. 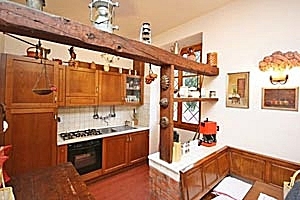 The kitchen has a direct access to a covered furnished terrace. 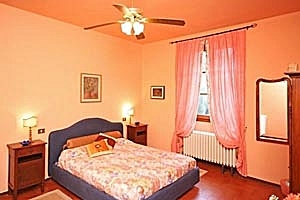 The twin bedroom on the ground floor con be converted into a double bedroom. 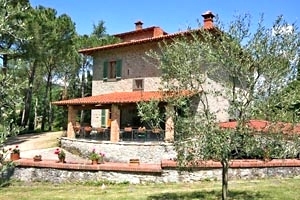 The villa comes with swimming pool, wood-burning oven, barbecue, fireplace, fans, TV set, DVD player, Internet connection, CD player, oven, freezer, microwave oven, American-style coffee maker, toaster, dishwasher, washing machine, iron and ironing board, cot bed, high chair and covered car parking area. 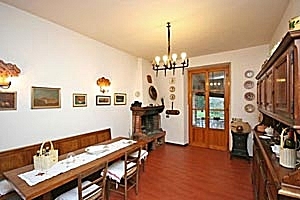 At arrival guests are offered a welcome snack. 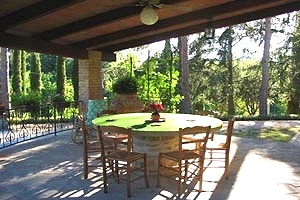 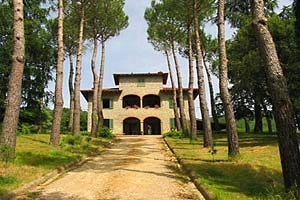 Tuscan dinners are organised in the property upon request. 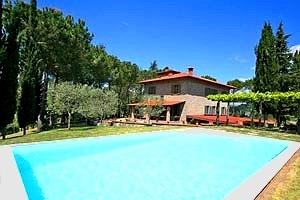 Shops and services of any kind are 900 metres from the villa.